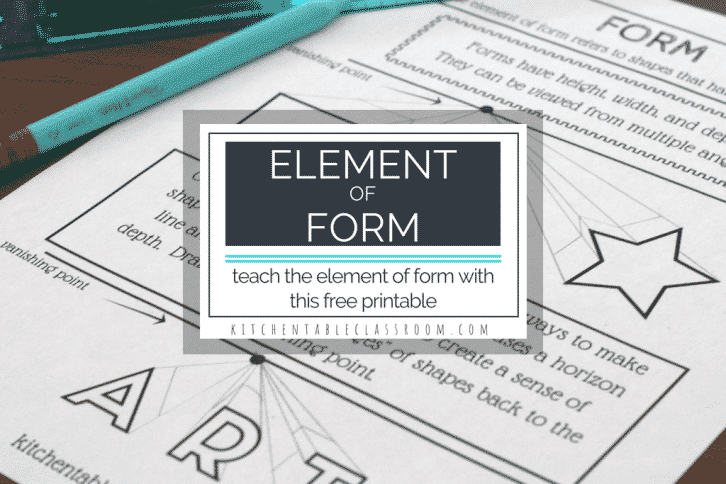 The terms shape and form might seem like they are interchangeable in the world of art. Not so. 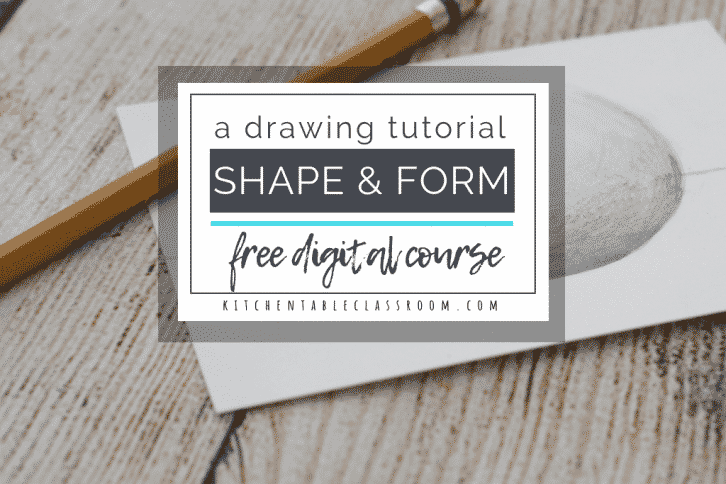 In fact, I designed this free digital course to help your kiddos get first hand experience with identifying shape and form in art. They’ll also get a hands on tutorial on how to turn a shape into a form through a simple pencil drawing tutorial. 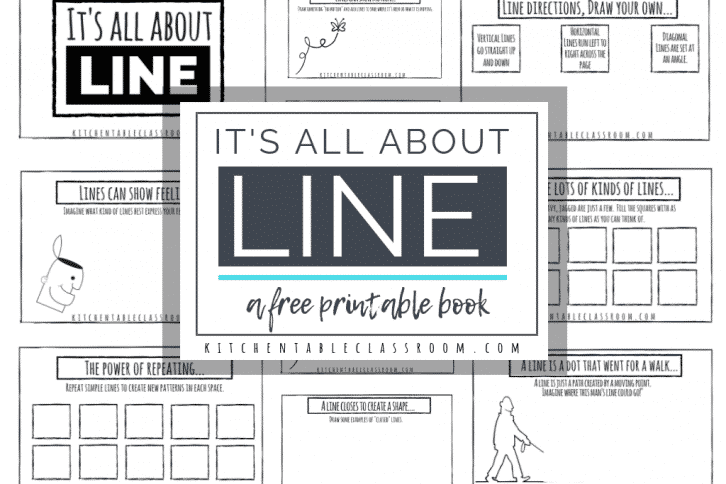 The element of line in art is one of the most basic. Even cavemen drew lines. The youngest artist draws lines. 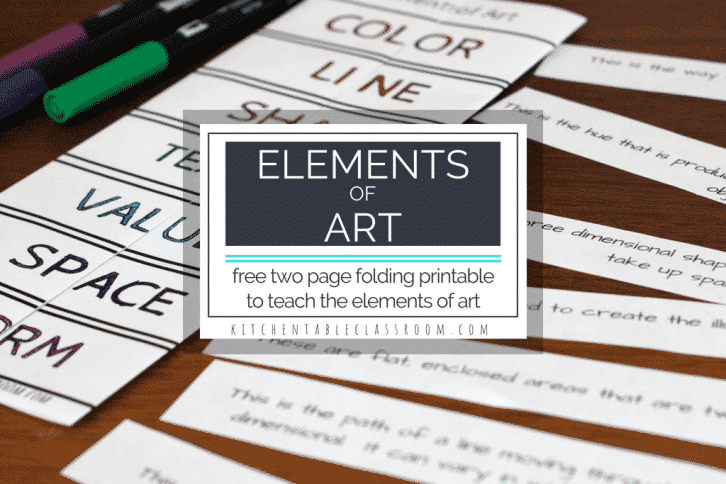 Use these free printable resources and activities to make teaching about the element of line in art easy and fun! The elements of art are kinda’ a big in deal in my art teacher-y opinion. They are the basics, the bread and butter of making and talking about art. 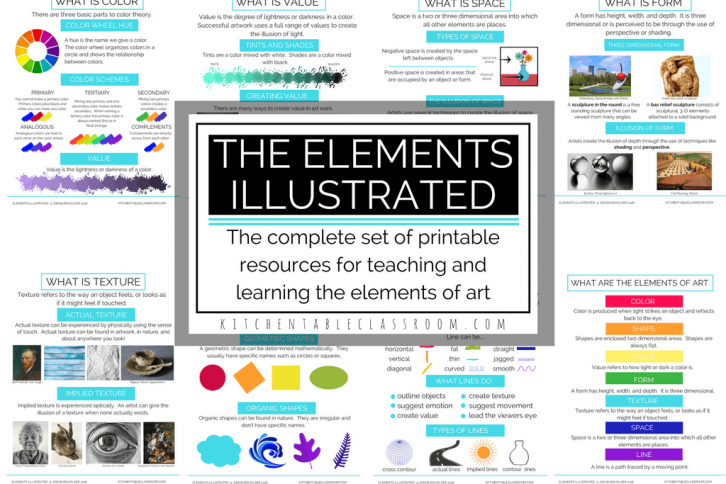 Use these elements of art posters and huge bundle of other resources to get started ASAP! 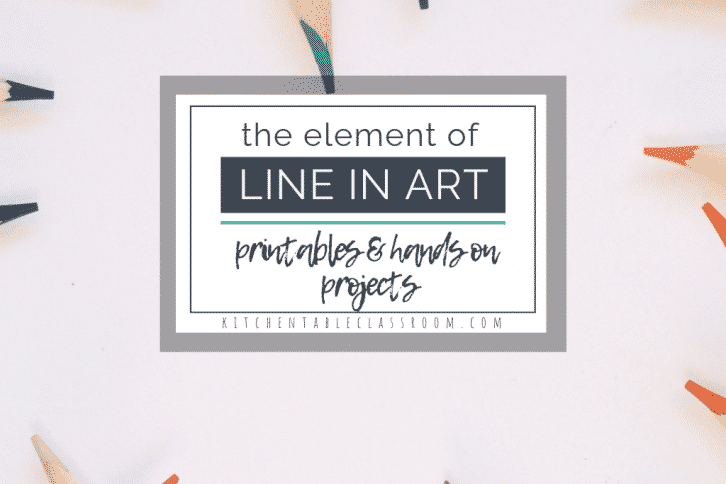 The element of line is one of the seven elements of art, the building blocks of everything art-y. Can you draw a line? 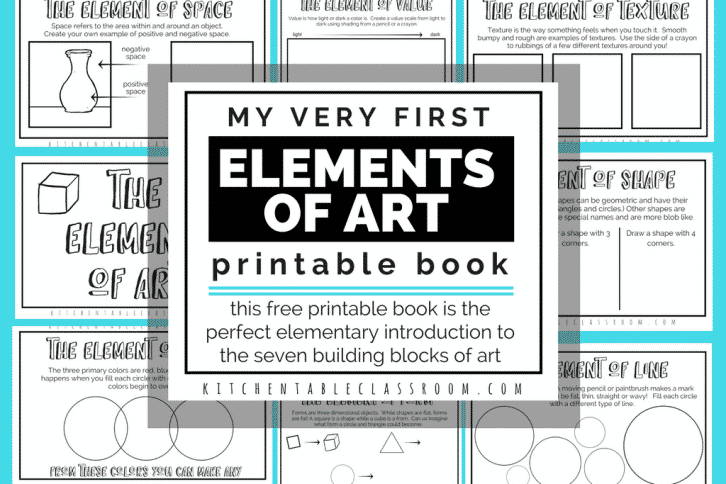 Good, then you’re ready for this free printable book! 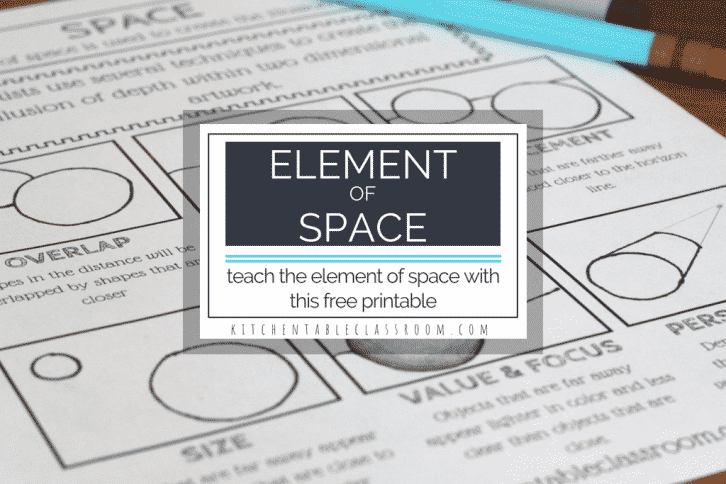 The element of space is a pretty special one. It’s that secret ingredient that makes art go from coloring book outlines to art that looks like you could reach out and touch it.